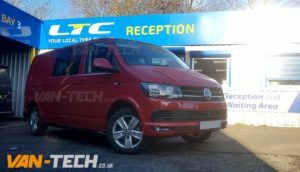 VW T6 Side Bars SWB LWB Transporter Black Sportline O.E Style Side Bars are the perfect combination of great looks and practicality with a stylish finish and designed for T6 Transporter Vans. These bars are made from Stainless Steel and powder coated in Black so you will not have to worry about the bars rusting in the future. 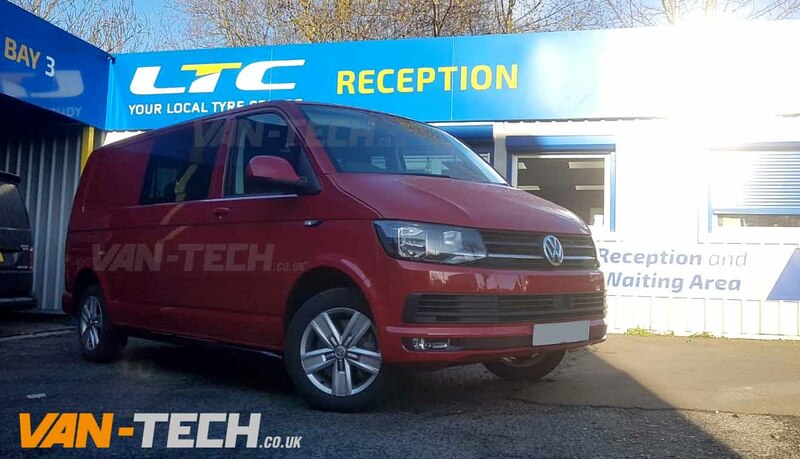 O.E style curved ends that hug the body of the T6 they look and feel the same as original VW side bars fitted to sport line models, these side bars are not universal fit they are tailor made exclusively for the T6 Transporter. Sold complete with the fitting kit, you won’t need to do any drilling as these fit to the existing original fixing sites on the T6 Transporter. 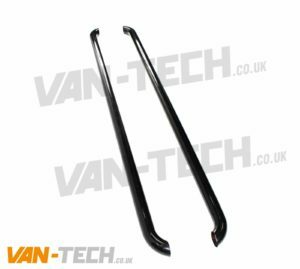 You might see cheaper VW T6 Side Bars Black Sportline O.E Style SWB LWB Transporter but when you buy and fit these you’ll appreciate the solid quality knowing that you won’t have any problems . 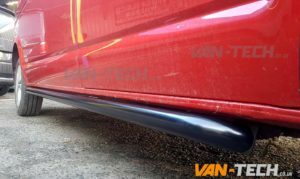 We think these are a true comparison to any side bars on the market and represent fantastic value. 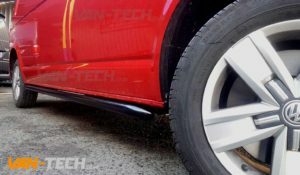 We think these are a true comparison to any side bars on the market and represent fantastic value. 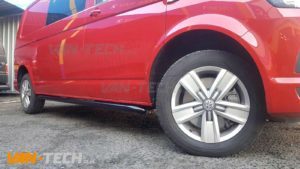 These bars will fit VW T5 T5.1 and T6 vans.